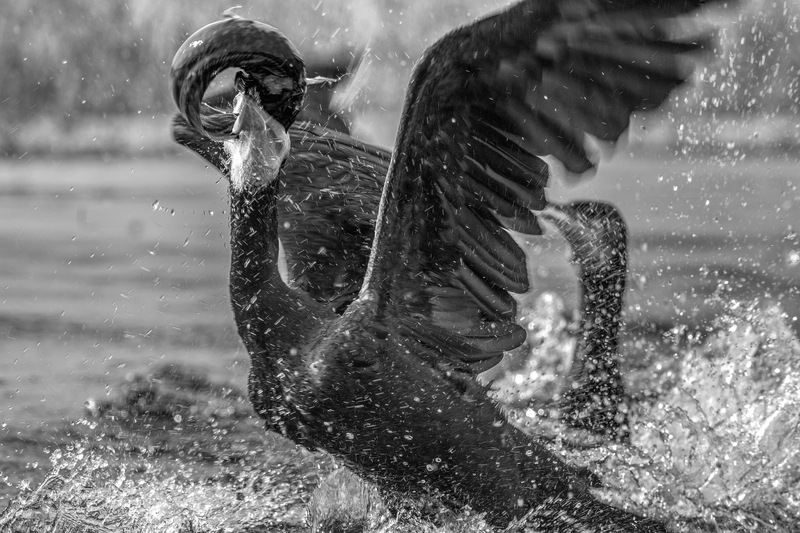 Indian Cormorants were fishing when one of them managed to snag a huge fish. That set off a massive flurry of action with the individual with the catch being hounded and chased by the others. I was a bit late to the scene and as I wasn’t really aware of this action happening I had picked up my 600mm lens by default. So, there I was, standing less than about 30 feet from the action with way too much glass in my hands – decided to reel off a handful of shots and then just stand and watch. Love the frame with action in every pixel. While a 100mm would have probably sufficed for a regular image, I am glad that I had the 600mm with me and managed to get an interesting take of the action. Thanks, great action it was. I realised after I put down my lens and started watching that we don’t do that often enough – just watch rather than click.